The Quilt Study Group of NSW (a sub-committee of The Quilters’ Guild of NSW Inc.) held their April meeting at The Powerhouse Museum on Saturday April 24th 2010. All members of the Guild are welcome to attend and there are no longer additional fees. 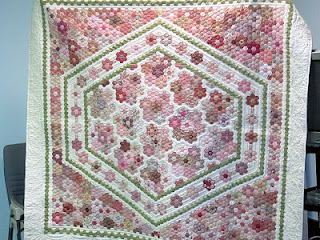 This event titled “Hexie Madness” was designed as a giant ‘Show and Tell’ featuring hexagon quilts in all shapes and sizes. 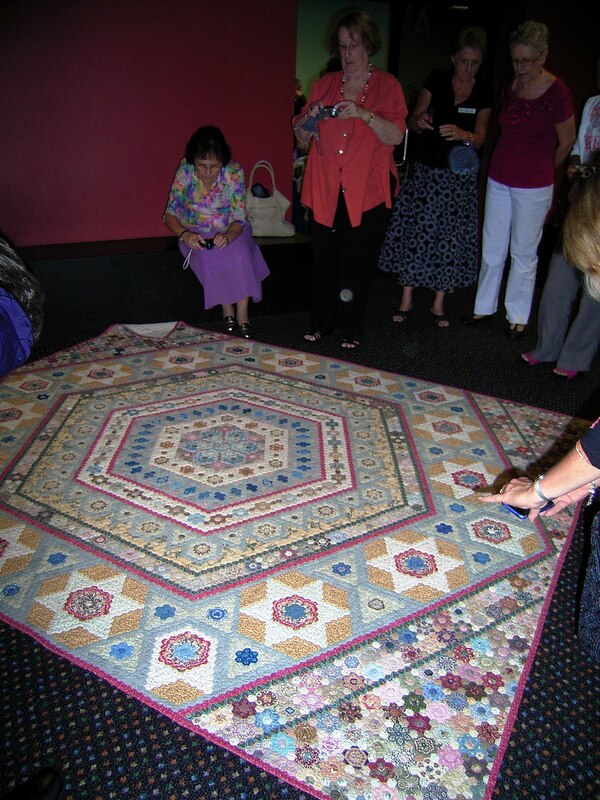 Members were asked to bring and talk about their hexagon quilts. The turn out was most impressive with over 40 participants and many, many more quilts. 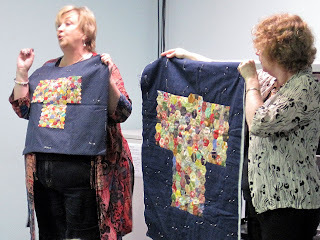 Brigitte Giblin (who has been a previous guest speaker for the Sydney Quilt Study Group) was unable to attend but kindly sent 4 of her recent quilts plus a number of quilts by her students. 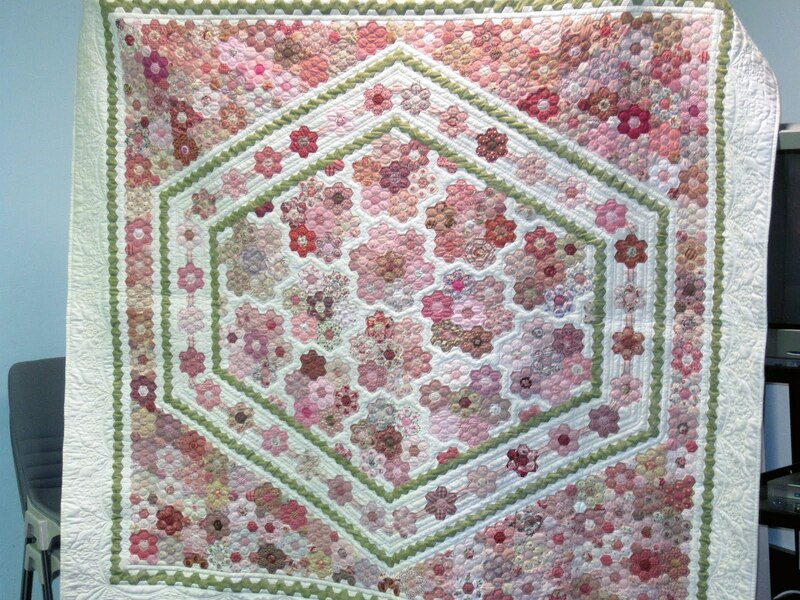 They all feature hexagons, some in conjunction with appliqué and other paper piecing designs. 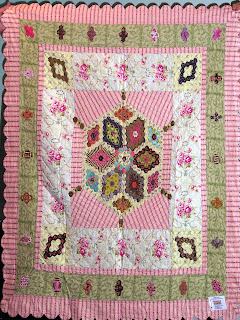 Jennifer Corkish brought a number of her quilts, again incorporating hexagons within the design and she even had a few new and unfinished designs for students to anticipate making in future classes. A number of her students also brought along their hexie quilts made in Jennifer’s classes. 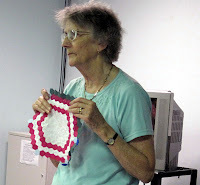 Pam Curtis could not attend but generously sent her prize winning hexie quilts for us to look at. 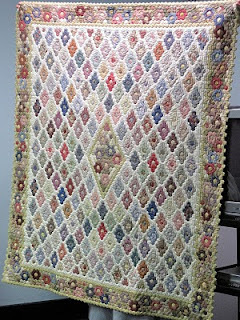 Daphne Massie brought the first block in her project to replicate an old quilt found by her daughter; hopefully she will bring more blocks to future meetings. 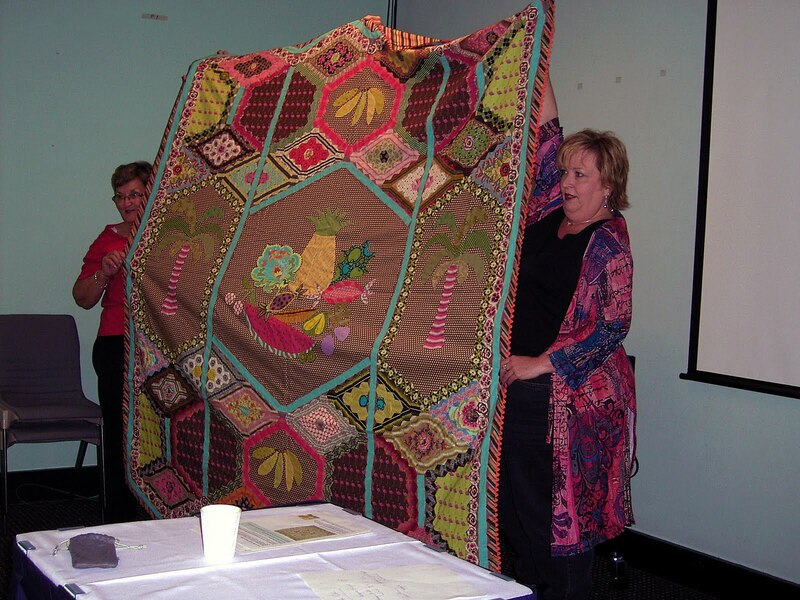 The highlight of the show was the quilt made by Nolene McGuran which won Best of Show at the Quilters’ Guild of NSW Inc. quilt show some years ago. 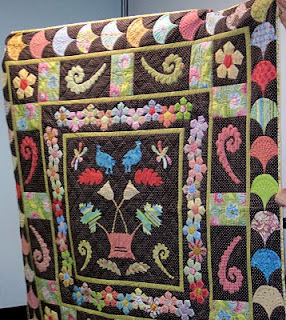 Unfortunately we did have any quilt stands so we couldn’t show this masterpiece of design to its fullest potential but at the end we laid it out on the floor so everyone could get a good look. 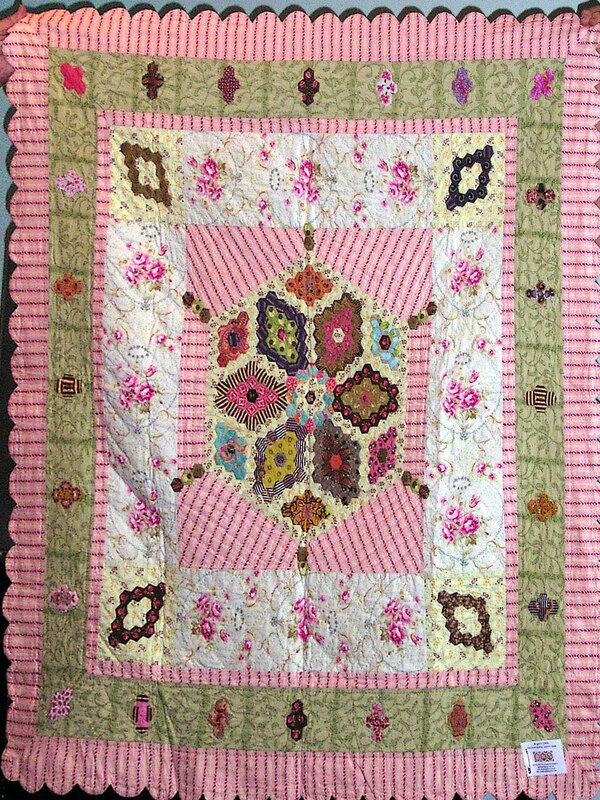 At the end of the meeting the room was ringed with tables piled high with hexie quilts. 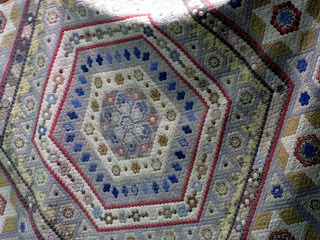 I was so busy running around I didn’t get the chance to count them or to get the names of many of the makers - my apologies. Most of the members of the audience were fans of “Hexie” quilts, and those who weren’t left the meeting as converts. For example, on a recent Guild bus trip to Wagga Wagga, Margy Syrette was surrounded by quilters making hexagons of various sizes so she decided to try her hand at doing some. She was delighted to present her completed quilt. 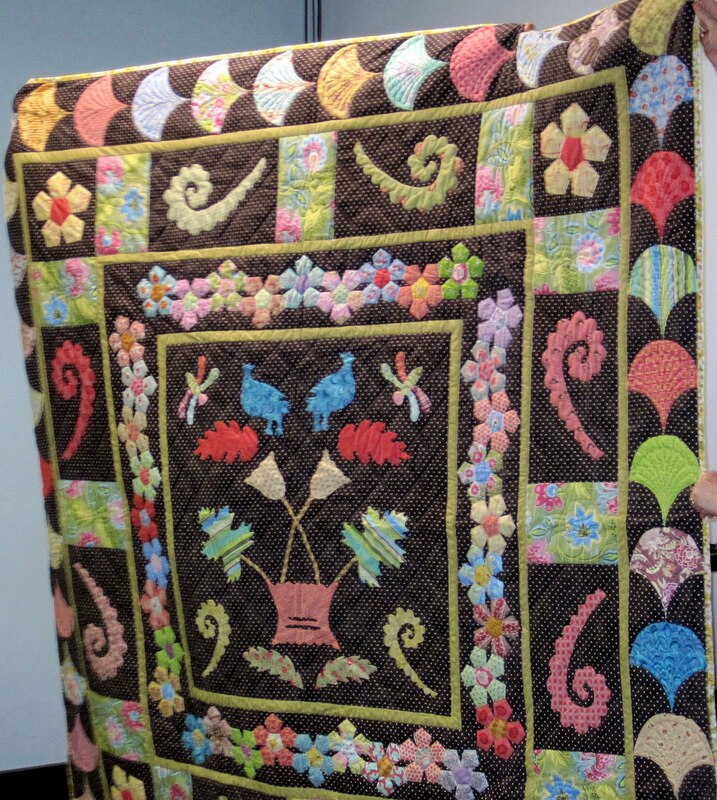 There was so much to inspire us with the variety of design and fabric. It was a great day. Thank you to all who came along for bringing along your hexie masterpieces and helping publicise this most wonderful madness! Sandra Lyons.